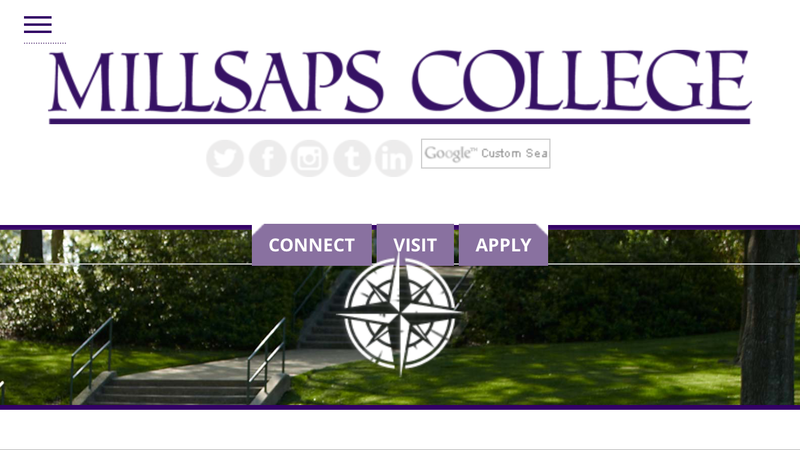 As I’m sure everyone knows by now, Millsaps recently updated the school’s website. We traded the old one we’re all familiar with, which may not have been perfect but worked, for this new one that has everyone confused. Ever since the new website rolled out, people have been complaining about it, as people always want to do every time something changes. The main concern, however, seems to be that this new website doesn’t cater to current students as much as the last one did. We have to scroll all the way down to the “Resources” tab and then click on “Students” to get what used to be available from quick links in the corner. I’ve also heard complaints that because it came out in the middle of the semester, it has messed a lot of things up. Overall, the general consensus seems to be that it doesn’t work for us. But here’s the thing, this new website is not for us. It’s for the prospective students thinking about applying, and it seems like it’s great for them. only thing that a confused 17-year-old has to identify the place where they might spend the next four years of their life. When you open the new website, instead of seeing a student in an action shot, or a piece of Millsaps news, you now see a beautiful picture of Galloway Green and the New Dorms, the crest and “Millsaps College.” If you scroll down a bit, the phrase “Put down your roots” appears. The first three links say “Connect,” “Visit” and “Apply.” For a moment, imagine you’re not an annoyed current student trying to figure out how to find some link, but you’re a high school senior trying to figure out where to go to college. This website invites you into Millsaps and makes it look like the kind of place you could learn and grow as well as making it easy to find out more about Millsaps, and to ultimately apply. Getting more students to apply and to choose Millsaps (should they be accepted of course) has great benefits to the college. More students applying means that the school can afford to be more selective while still working to bring Millsaps’s size back up to where it was a decade ago, which would hopefully mean less tuition hikes to cover overhead. Of course, this website still has its faults — the amount of broken links is frankly embarrassing — but ultimately it’s something I’m glad Millsaps is doing.